IITA has been selected as an implementing partner in the “Feed the Future Partnering For Innovation,” which is a US Presidential Initiative. This was made known during a ceremony to launch the Nigeria Agriculture Partnerships between the United States Agency for International Development (USAID) and two agribusiness firms, Babban Gona and Hello Tractor at the Embassy of the United States in Abuja. The ceremony was attended by Chief Audu Ogbeh, Nigeria’s Minister of Agriculture and Rural Development; Maria Brewer, Deputy Chief of Mission; Michael Harvey, USAID Mission Director; the representative of the Emir of Kano; and a host of other dignitaries. Honorable Minister of Agriculture Chief Audu Ogbeh delivering his speech at the event. Under the $2 million two-year partnership, about 45,000 smallholder farmers in seven states and the Federal Capital Territory will have access to smart tractors, improved seeds, and profitable markets. IITA will provide comprehensive training to 100 Youth Agripreneurs in Abuja, Kano, and Ibadan on the business of owning, maintaining, utilizing, and promoting services for a fleet of smart tractors. It is anticipated that 300 Smart Tractors, developed by a young American, Jehiel Oliver, will be sold to these Agripreneurs. Also, they will benefit with increased income through the provision of valuable and needed tractor services to farmers within their community. Jehiel Oliver, the CEO of Hello Tractor. The IITA Youth Agripreneurs (IYA) will receive training from the IITA Business Incubation Platform (BIP), as well as from IYA master trainers and Agripreneurs operating out of BIP. Furthermore, Agripreneurs will be trained on postharvest operations, value addition of medium-scale machinery, use of the Smart Tractor, agribusiness management, business models and plans, organizational development, networking skills, and administration. According to Harvey, “This is one of the largest USAID partnerships in the world, as we are concerned about the under productivity of Nigeria’s agriculture sector. “We are committed to strengthening the agriculture sector in Nigeria”, Brewer said. 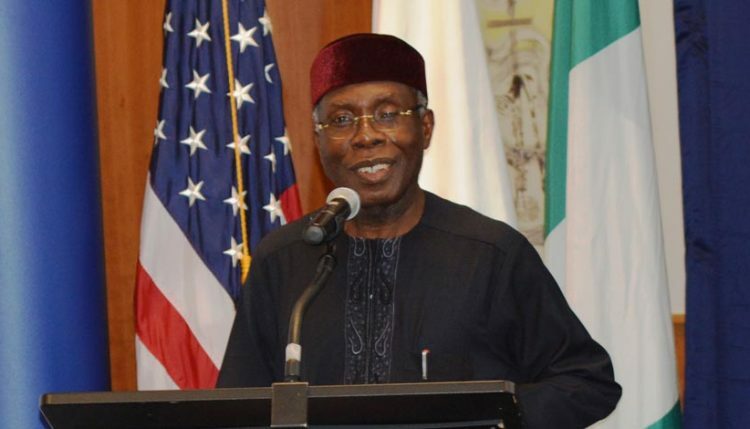 Chief Ogbeh was optimistic that the new smart tractors will complement Nigeria’s food program in great measure, as there are only 30,000 tractors in Nigeria which are grossly inadequate. “There is a future in Agriculture” he advised the youth. He assured farmers that the Nigerian Government has developed a new security arrangement to protect farmers and their farms. Again, he announced that the Government will build 10 dams in each of the 36 states in the next four years to boost farming. Equally, he assured young people that a new agricultural fund to support agriculture will soon be launched. please may i know the application process? My name is Benjamin AJAYI. I am a young agripreneur . I have my farm at Lufuwape village in Ogun State. My expansion scheme has been highly hindered by lack of access to tractor, among other machinery. Please Sir, how can I benefit from USAID/Hello Tractor agripreneurs program? Please, how do I know when the smart tractor shortlisting has been done? Dear Moyin, sorry the shortlisting has passed for this year. Please visit the Youth Agripreneurs website – http://youthagripreneurs.org/ to stay up to date for the next opportunity.